Commercial pest control is a whole different practice than its residential counterpart. The scope is larger, the work is more demanding, and the standard is even higher. Even a minor pest infestation is a serious health, safety, and business risk inside a commercial facility. When businesses have a pest problem, they need a solution that’s fast, thorough, and lasting, every time. Gregory is that solution. During our 40+ years of operation, we’ve served hundreds of businesses in all kinds of commercial fields. Despite the differences between residential and commercial pest control, we believe one aspect of both services should stay constant: customer service. When your business works with Gregory, expect the same one-on-one service our residential customers have learned to expect. No matter your industry or the size of the job, Gregory is the solution to your company’s pest problems. It wouldn’t make any sense to try to solve a pest problem in a restaurant the same way as a pest problem in a warehouse. Your workplace is a unique place, so your pest problem is a unique problem. 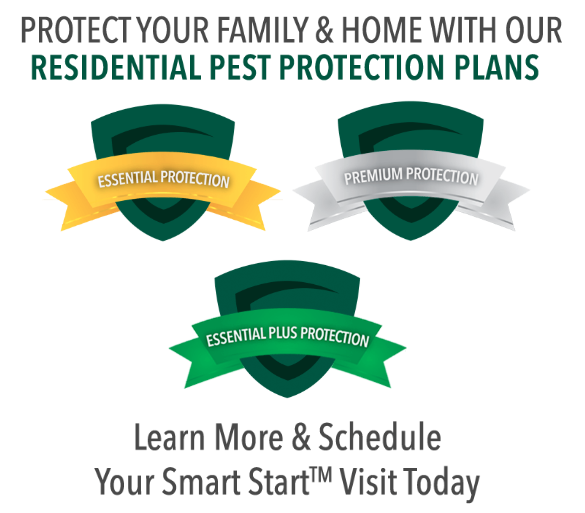 You have specific considerations, complications, needs, and desires that you need your pest control to account for. If it doesn’t, your pest solution won’t satisfy you or permanently solve your problem. When Gregory works on a commercial pest problem, we get to know what you need. We listen to your problems and concerns, thoroughly examine your building, and figure out exactly what’s going on. Then, our experts design a customized action plan that takes your unique situation into consideration. Our solutions work better for you because they were designed for you. What: What are the specific pest or pests that are infesting your business? Why: Why did those pests want to enter your business in the first place? Where: Where did your pests come from, and where did they get into your business? How: How did your pests get in, and how can we keep them out in the future? By answering these questions, we can make sure that the pests we remove can never come back. We block off access points, remove attractants, eliminate nesting sites, and figure out ways to repel your specific pest. We figure out where and when the infestation began, so we can figure out how to end it, permanently. This one’s simple: we just don’t stop until your pest problem is over. When you hire Gregory, you aren’t getting a single visit where we spray some pesticide and call it a day. You’re getting an expert service that works with you until we’re both satisfied that your pests are gone. Our experts remain in touch with you and continuously monitor our control plan. If we find out something isn’t working or if something unexpected comes up, we change our plan accordingly. We find and address every possible access point, attractant, and vulnerability your business could possibly offer to pests. By the time we’re done, you can rest assured your problem is a thing of the past. When you work with Gregory, you get a pest control service that works for you, guaranteed. Gregory’s technical services department performs periodic Quality Assurance Audits on every commercial pest management program. These audits make sure we’re following an established set of performance standards designed to ensure quality service. By performing audits on our programs, we make sure you’re always getting the best service possible. Above all, Gregory values the long-term relationships we create with our co-workers and customers. To create those relationships, it’s essential that we provide service that our customers know they can count on. It also means being accountable for the work we do. If you have any questions about your service, you can call your Gregory expert any time. We always do everything we can to make sure you’re satisfied.